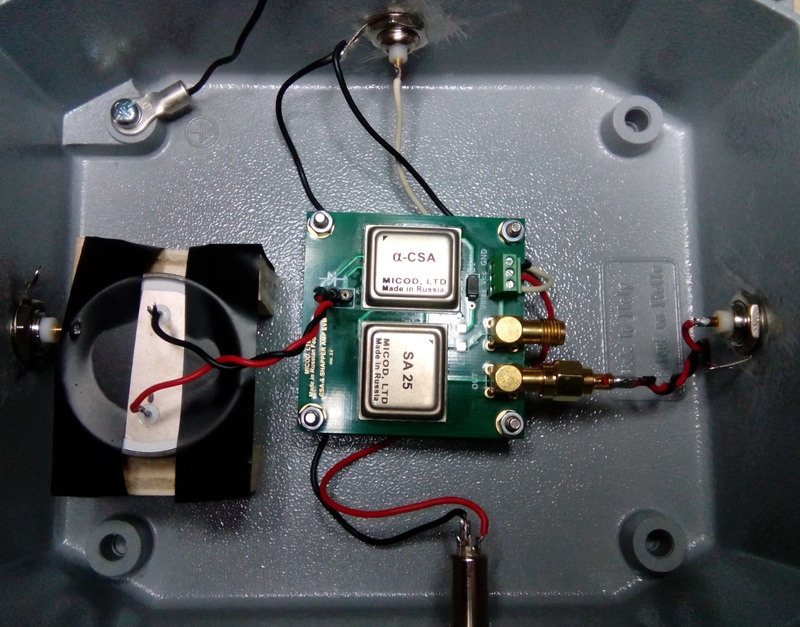 In this post we want to test the alpha radiation detector built by “AlexDetector” and marketed by the russian company Micod with the related front-end electronics, consisting of a charge preamplifier (CSA) and shaping amplifier (SA). 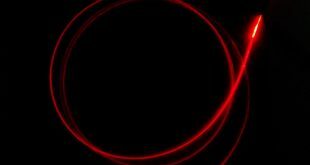 Alpha Spectrometry is a fascinating technique because it allows you to have accurate information about the radioactive decay of heavy nuclei and about the physics of the interaction of charged particles with matter. But this is a rather difficult technique. The difficulties of this technique lie in the type of detector, usually a solid state silicon detector that produces a weak signal which requires, to be analyzed, very low noise amplifiers. The measurement has to be made in vacuum conditions (however not high vacuum) so that the alpha particles are not shielded from the air. The sources that are measured have to be carefully prepared so as to have a layer as thin and uniform as possible so that alpha particles are not diffused and absorbed within the source itself. In a semiconductor, the equivalent of the ionization energy is the band-gap energy needed to promote an electron from the valence to the conduction band. In Silicon at room temperature, Eg = 1.1 eV, compared to ~15 eV to ionize a gas. A charged particle moving through Silicon therefore creates more ionization and thus a larger signal. When n-type and p-type silicon are put in contact, creating a p-n junction, the flow of the two different free charges across the boundary creates a depletion zone, an electrically neutral area near the junction where an internal electric field sweeps out any free charge. By reverse biasing the junction, the depletion zone can be made large, ~hundreds of microns. If an energetic charged particle ranges out in the depletion zone, an amount of ionization proportional to the particle’s initial energy will be created there, and swept out. 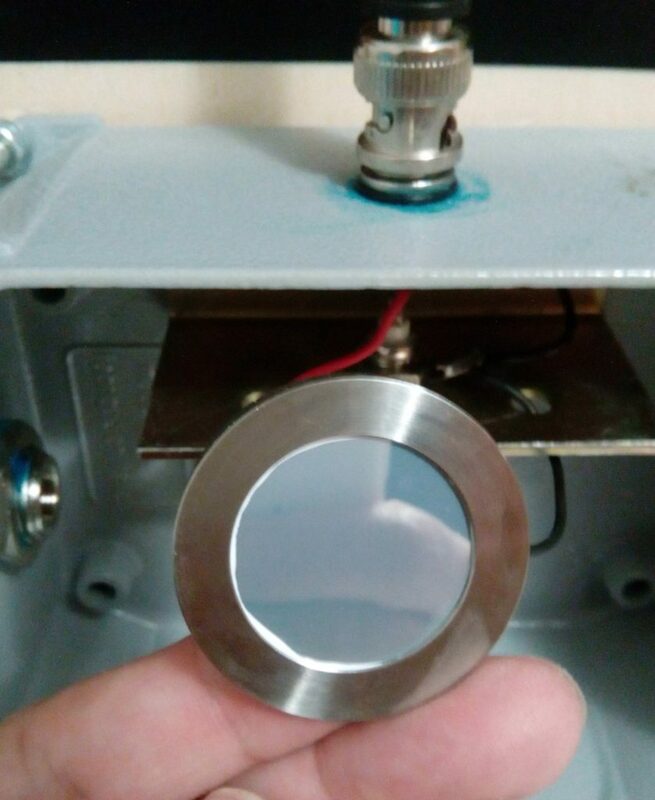 By plating metallic ohmic contacts on the outer surfaces of the crystal, it is possible to both apply the bias and collect the free charge from the depletion zone, so that the whole assembly is a high gain, solid state version of the capacitive ionization chamber. 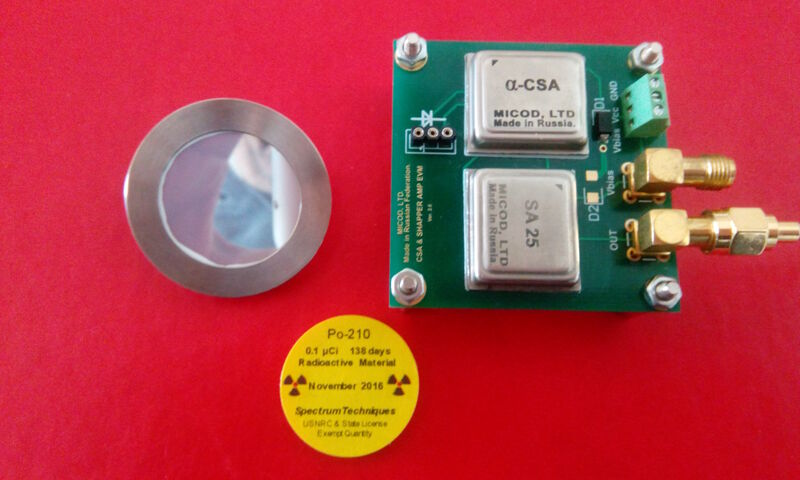 As already stated above, the detector must be used in a vacuum environment, to avoid the absorption of the alpha particles by the air, it is also preferable to use it in the dark to prevent the sensitive surface from being hit by light during operation. The first tests were carried out using the same experimental setup described in the post: DIY Alpha Spectrometer, in which, however, a Canberra PIPS detector is used. 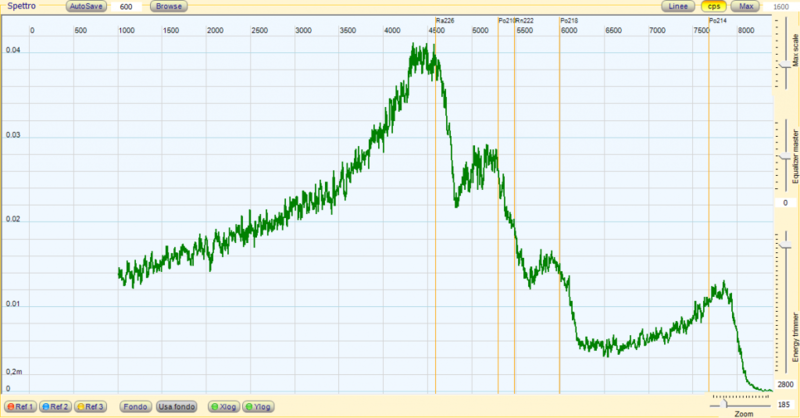 For these first tests we replaced the Canberra detector with the one supplied by Micod. The alpha sources we have undergone are a sample source of Po210 and a Am241 source from a smoke detector. 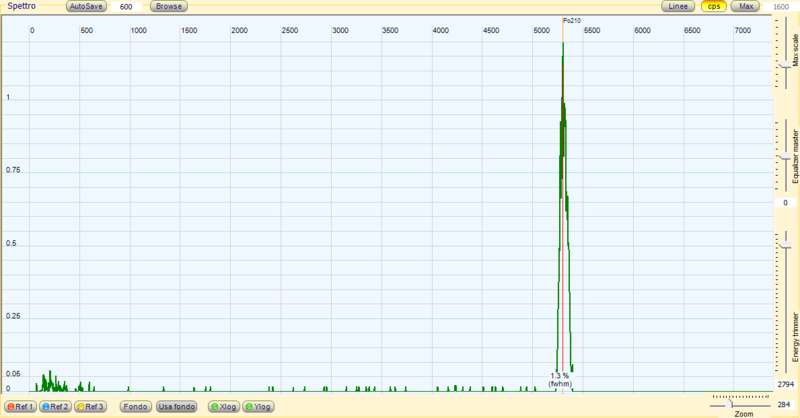 The alpha spectra are shown in the graphs below. 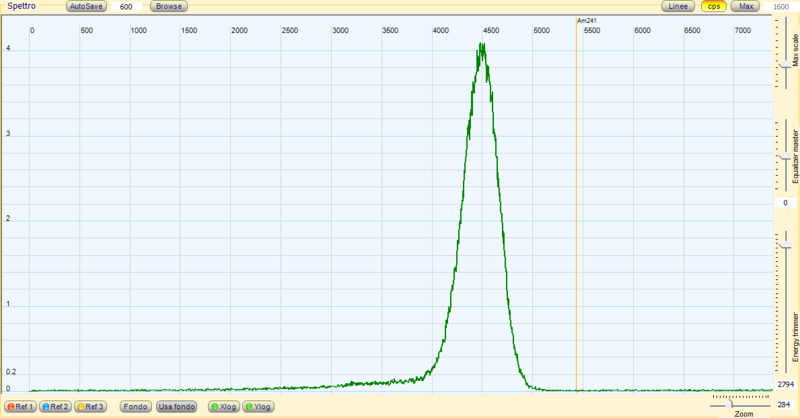 As can be seen, the emission of Po210 produces a very evident peak with a really nice resolution of 1.3%. The americium, being encapsulated behind a thin metal sheet, produces a wider spike, however it remains perfectly defined. With the same setup we have measured old watch hands with phosphorescent radium paint. In this case the alpha source, the radium, is contained within the paint layer, for this reason it is not possible to obtain well defined peaks due to the self absorption. The detector is however able to recognize the main alpha-emitting isotopes produced by the decay of the radio, as can be easily seen in the graph below. With the same radium source, the measurement was also extended to low energies (<1 MeV), in order to count also the conspicuous beta radiation emitted by the source. The graph below shows, on a logarithmic scale, the result obtained. We can see how the detector is also sensitive to beta radiation up to about 1 MeV. 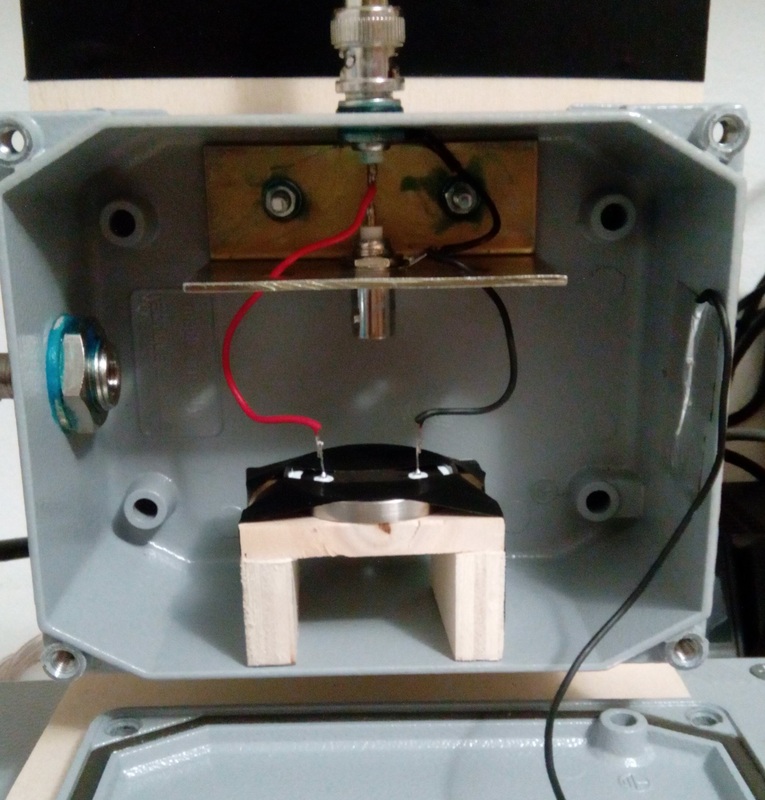 In order to test the alpha detector with the Micod amplifier we have adopted a different setup: the small dimensions of the amplifier allow to place detectors and electronics in the same container. This reduces the noise due to electrical connections. 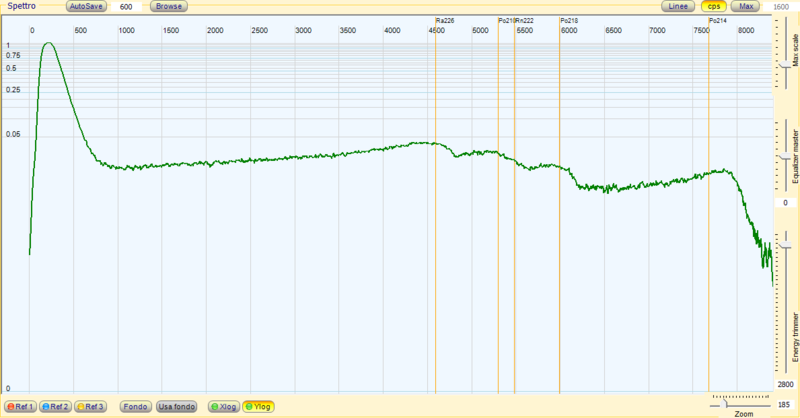 The image below shows the setup of our prototype. The alpha source should be placed below the sensor. In this first prototype we did not operate in vacuum conditions. The signal taken from the amplifier is shown in the images below. It is noted that the signal has a good Gaussian profile, with a width of 200 – 600 mV and a very low noise compared to the signal. The tests carried out highlighted the excellent behavior of the alpha sensor and of the Micod signal amplifier. The small dimensions of the electronics make it possible to create a complete alpha spectrometer with truly reduced dimensions.